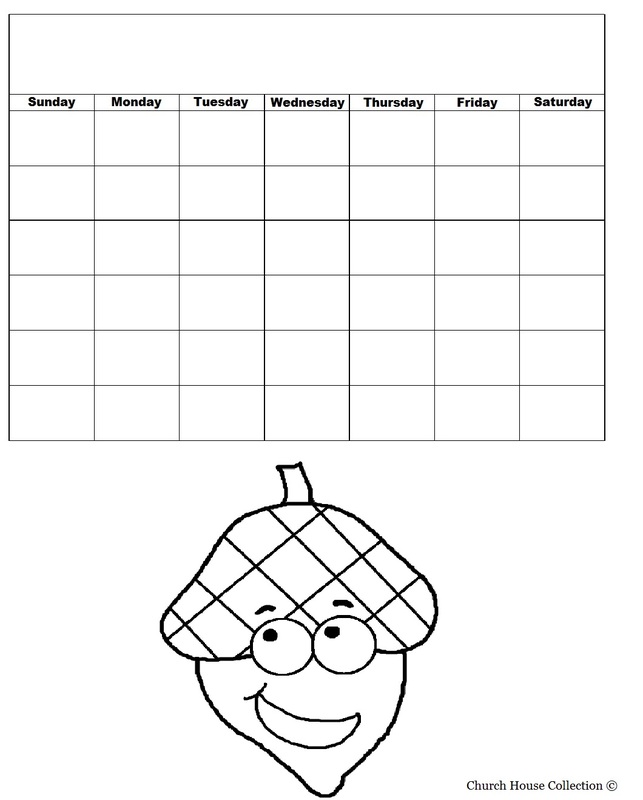 This is a printable acorn calendar for kids to color during class time and then have them write the month at the top of the calendar. Let them add the numbers in each square. If you want you could laminate these during class if you have one. I bought mine from Walmart. 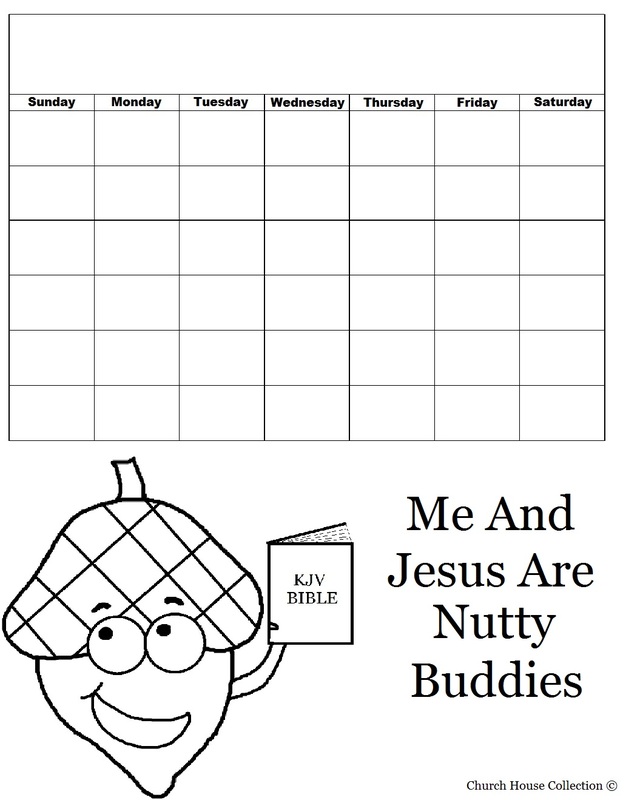 Tell the kids to hang their calendar up on their wall at home or on the refrigerator. 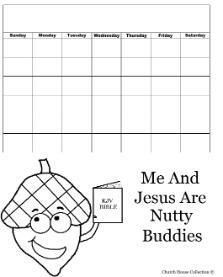 Use this to go along with the acorn lesson plan we have. We have matching materials to go with it.